Wow, ten years. That is a huge milestone. Happy birthday to your blog! Thank you very much for these words! I really appreciate you being you here and that is definetly a reason why I love KERF! I really like to feel like a part of your through reading your blog and really hope that you continue like this! 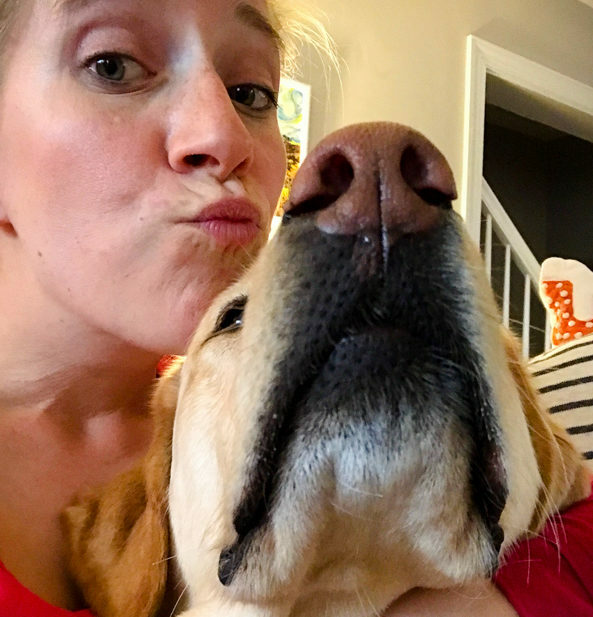 These reasons are why your blog continues to be my favorite to read! Keep on keeping’ it real. And congrats on 10 years! I’ve loved your blog for many years and absolutely like the personal style of posts. I often skim the “evergreen” type content on even blogs I love – I just like the daily life posts, I don’t even know why! I’ve noticed your blog has been more like it was in the old days lately andhave been loving it!! Oh my gosh 10 years is incredible. I love daily posts and helpful posts, but daily moreso. We read yor blog because we love YOU, so we love reading about you and your life. I’ve been with you since the beginning and I seldom comment and we’ve never met 🙂 I felt connected to you then because I am from Charlotte, went to Duke, and had a close first cousin at Davidson (where my dad and grandfather went as well!). Even when I was in the Peace Corps from 2008 to 2010, yours is the blog I checked first when I found internet in the capital city! 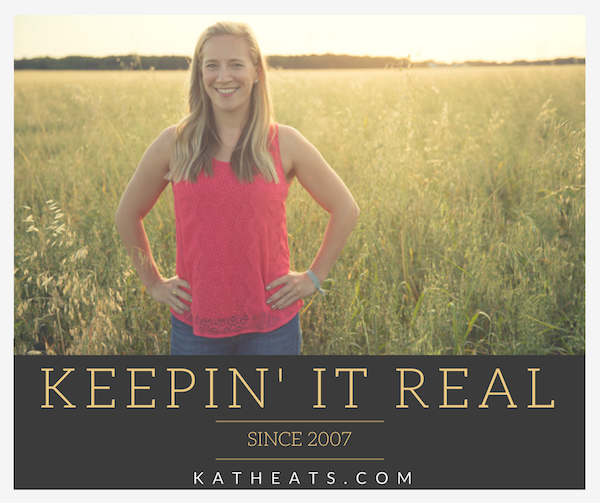 You’re my favorite blog – keep Keepin’ It Real! Thank you for all you do! Love the daily life posts, it does exactly what you intend, which is give other busy women ideas how to incorporate healthy living into daily family life. My lunch game has improved dramatically from ideas I get from yours! Thanks for sharing! I appreciate this post – and I think the way you blog, and what you blog about will keep people coming back. Some other bloggers have switched to more evergreen content (even Tina carrotsncake announced yesterday she was going to focus on easy recipes/workouts) and i think that won’t work. People google recipes or workouts, they don’t follow a blog religiously if it lacks the “personal” aspect of it. Yes to all of this! Thank you for keeping your blog authentic and personable. I have stopped reading so very many blogs (many of which were some of the first to the scene) due to “magazine style” content and feeling like the personality is missing. You do not have to tell everything to be real and you do a great job of that. Congrats on 10 years! & for all those reasons that’s why I come back. Thanks for not turning into a shiny “magazine” blog. I don’t need to check up on a persons life who appears perfect. I like relating to people who seem to live like real people. Thanks for keeping your blog real! Love the mix of content on your blog; I wouldn’t change a thing! I’ve been a reader for at least 7 of your 10 years…maybe more. Yours is the only blog I read daily – I even kept up with it when I studied abroad in college! Just this year, my husband matched for his neurology residency at UVA. We’ll be coming to Cville this summer. It’s a big move for us (both born and raised in the midwest) but I feel like I already know Cville – or at least pieces of it – thanks to years of reading your blog. Thanks for creating this familiar, fun space for so many readers! You are the most consistent blogger I follow. It is evident that you are the type of person, that if you’re going to do something, you’re going to do it WELL. That really shines through in your content – you never “phone it in”. I particularly notice that a new injection of life has been shot through your writing since the “sharing your heart out” post. The intention and effort behind your work does not not going unnoticed by your readers, and it is so appreciated. Thank you! Nailed it! 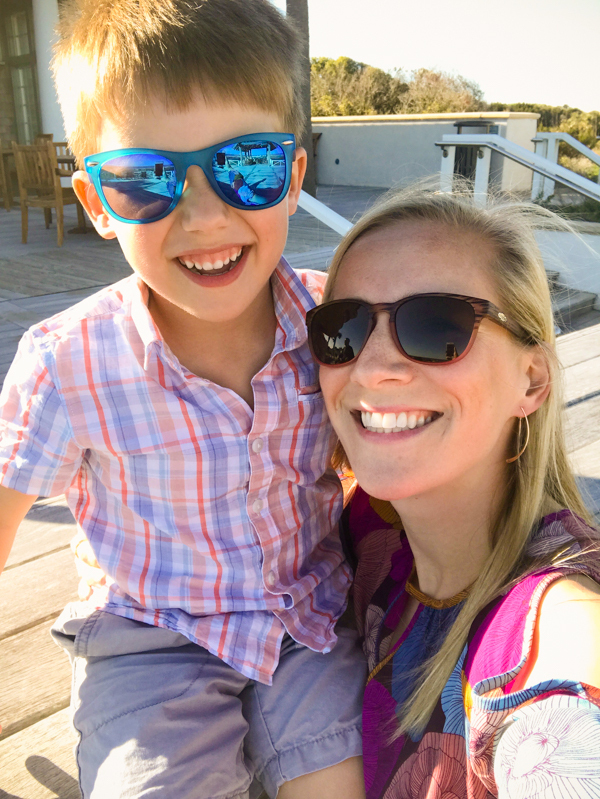 You’re doing a great job Kath – love the variety, slices of life and how you keep it real! I agree with this! I have moved away from some of my former favorite blogs because… well… I don’t need some random recipe tips or workout tips, I can get that anywhere! I want to read about what sets a blogger apart from anyone else, and that’s always the personal side of things. Kath, you hit the nail on the head about why your blog is perennially one of my favorites. You and Emily at Daily Garnish strike a wonderful balance, and it helps that you’re both good writers. 🙂 I encourage both of you to keep living YOUR lives, and with no apologies!! So much yes! I love blogs that feel genuine, whatever that ebb and flow may look like over time. Thanks for keeping it real! 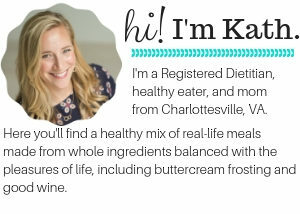 I think I love your blog because it doesn’t seem like you’re writing posts to try to make money, so you really succeed in being “real.” I feel a little put off with food blogs who go all out with the magazine-style food photographs. While beautiful and I admire them for their artistic value, when I see food styling (you know, like orange peels artfully twirled around on a cutting board, precisely placed sprigs of thyme, etc) that doesn’t register in my head as a recipe I’m going to make at home in my real life. Those look like recipes that float around Pinterest but never actually make it into anyone’s kitchen. Your recipes are easy, healthy, and always look like something I will enjoy putting together at home. To be honest I’m not really interested in recipes because I love being creative in cooking, so I’m more interested in ideas, and that’s what I get from you blog! You give the idea that it’s possible to live a fun life AND eat beautiful, healthy food without spending all your time slaving in the kitchen. Love this! and you’re realness is why we’ll continue to read! Happy 10 years! Thank you for keeping it real! I’ve been reading since almost the beginning (2008-2009) and it’s been an amazing journey. So I guess this means that I have been reading your blog for 10 years! Time flies. I think that most people are looking for someone to relate to when they read a blog. I don’t want advice from bloggers. I don’t want exercise programs from them. Truth be told, if I was looking for a recipe, I would look for a recipe blogger. The one thing that I don’t like about personal blogs is how rude comments can be. If you wouldn’t say it to someone in real life, you shouldn’t say it to a blogger. Ultimately these kinds of comments limit what bloggers feel comfortable saying and I really can’t blame them. Happy 10 years Kath! I’ve been a reader for about 8ish years and only started commenting recently 🙂 Like many others here, yours is the only blog I read. I feel like I can relate to you because of your openness and honesty. You’ve got a one-of-a-kind blog, keep it up! I make occasional comments (usually regarding this very subject today) and the only reason people like me come back daily is because of the “person” and not the “brand”. Brands are a dime a dozen (sorta) but people are all unique and have ups and downs just like me! thanks for the honesty with which you post all the time. We the readers know what you let us know and that personal touch is really great. Here’s to another 10 years or more. Good luck in your next decade here. I agree with the sentiments expressed by the other commenters. Your blog is genuine and real; it is also consistent and interesting. (And consistently interesting! :-)) I have stopped reading other blogs because of the constant barrage of sponsored posts. I get that this is how you and other bloggers make their living, but I leave when it’s clear that the sponsors are running the show. So glad you have kept the Kath in KERF! Congrats on 10 years! This is a really nice post. I guess all your readers have things they prefer and things they don’t. I know I have voiced my criticism of some of your sponsored posts. But I do enjoy your blog and I’ll look forward to another 10 years! This is why I LOVE your blog! I have been a reader for a long time. I got pregnant with my first child right after you had Mazen. 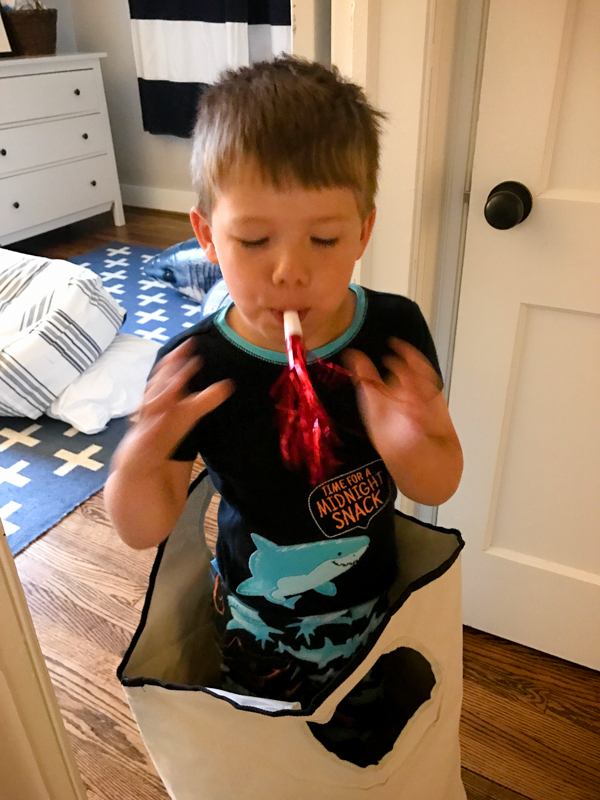 I literally purchased EVERYTHING you recommended and I loved all of it…and still use it for my second child. I don’t doubt for a second that if you say something is good, it’s really good! When I read other blogs, sometimes I’m really not sure if the blogger really likes the product, or is just pretending for that post becasuse it is sponsored. I know you are the real deal, and that’s what I love about you! Keep the realness coming!! Thanks for your comment and I’m glad to hear I emailed back prompty!! Kath, please keep being real and share your life with us. I know what you mean those bloggers than turned their personal blog into a business, sometimes only business. I un-subscribed many of those because that was not the reason I started following them. You’re among the first one that I follow back in 2008 and probably the only one that I still do until today from that time because you kept your authenticity, your honesty and all of your sponsored posts felt natural. In fact, I’m looking forward to see some of your sponsor posts because i trust you and I know you wouldn’t sponsor a brand unless you believe in it, and more importantly, I like your style and taste so I find those posts informative. Thank you for being you! I enjoy the day in the life, real life posts the most. Keep up the good work! Your blog is the first thing I read when I get to work in the morning (after I check my email). Congratulations on 10 years and thank you for being so open, honest, and real with us. I have been reading your blog since 2012 when a co-worker showed me Mazen’s birth story with the line “You won’t believe what this person shared!” Haha I loved the story and when I was pregnant followed along on Babykerf and I love your realness! Just out of curiosity can you share your favorite blogs? I read a handful of HLBs from the early days who still write about lifestyle 🙂 And a scattering of home blogs like Young House Love and I Heart Organizing. I’ve been reading your blog for 9 years after I found you via the “green monster” trend that Oh She Glows started. 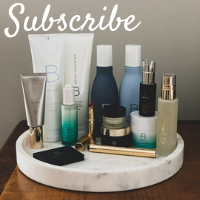 I’ve loved following your journey and also favor real, true blogs where you get to know the women behind the blog. Yours is one of the few I still read daily from all those years ago, keep it up! Congratulations on 10 years!!!! I can’t remember when exactly I started reading but it was before Mazen was in the picture. Love your blog!!!! I’m a big fan! It’s exactly why I’ve kept reading for almost 10 years (whaaaaaaat)! And the past couple months have been really refreshing to read – you definitely seem very content right now and I love your light-filled pictures – all of that comes through in your blog and it’s just been a pleasure to read/tune into. Truly an achievement-be proud, celebrate! I think you are so right about keeping it real-that’s why the space you’ve created here is so inspirational and appealing. It’s always a bright spot in my day. I agree with what most other commenters have said. I like reading the personal posts and although a sponsored post every once in a while is fine, I appreciate blogs that are not just a new advertisement every day. Love this post and the interesting reflections on blogging. Been reading since 2009! I have been reading since I linked over from I think “eat like me” SELF blog almost 10 years ago! You have created a beautiful space to come read & learn and I really appreciate the time and personality that you have put into it. So much yes!!!! I have followed your blog since the beginning and your writing inspired me over the years to carve a niche in the blogging space. But I struggled because instead of finding my own style and voice I mirrored what I thought bloggers were supposed to do. Instagram now mucks up that whole “should” of sharing as well. But I keep reminding myself why I love to write through a blog and share through an Instagram account, which helps me quiet that ‘should’ question. Great post Kath! I love your blog & have been reading since the very beginning. Keep on keepin it real. I have been reading KERF every day since I found it in 2009. I live in Cville and love your insight of the town, but most of all I have loved learning how to be healthy on an every day basis. Your blog opened my eyes that you don’t always have to diet, you can do little things each day to maintain a healthy lifestyle. I can continue to enjoy wine in moderation and have a cheesy quesadilla, if I want to, but maybe add some spinach to it. You changed the way I cook and look at food. The “squiggly line effect” drives how I eat and I owe it all to YOU! Thank you, Kath! I’m late to the party today, but just wanted you to know I enjoy the variety of your blog. I’ve been reading for several years, but I couldn’t begin to guess how many with any accuracy. I’m also very happy to see dog pictures on occasion! Congrats on your 10 years, well done. I have been reading from the beginning but seldom comment. Always enjoy reading what is going on in your life, and hope it continues for at least 10 more years. Thank you for this post! Lately I’ve felt like I should specialize my blog a little more (I really don’t know why, since I hardly have any readers and I really mostly do it for my own pleasure) because it’s kind of all over the place, but, like you, my favorite blogs are the real life blogs. Nothing makes more sense than writing what you’re actually inspired to write, not what you feel you *should* be writing. Thanks for saying exactly what’s been on my mind with blogging lately. I prefer the real, back to your roots posts and am so happy to have found your blog several years ago! Here’s to many more Kerf-y years!! I’ve been reading your blog since before Mazen was born and I have really enjoyed your posts! You have introduced me to so many new foods that I now incorporate into my cooking. Thank you for keeping it real and letting us be part of your world. Wow ten years? 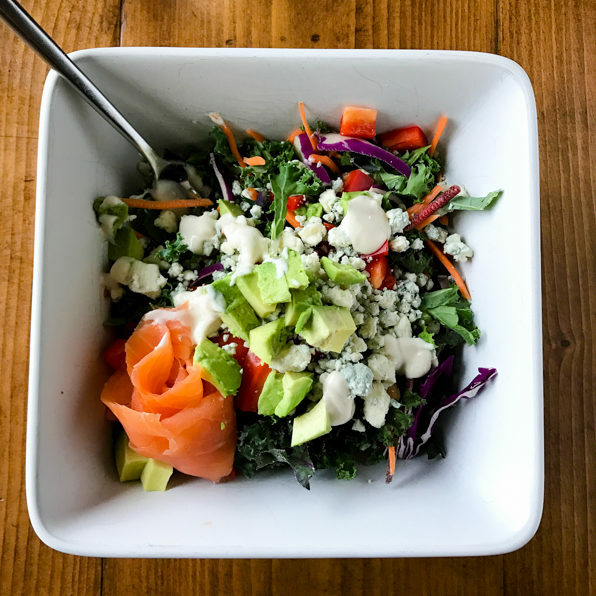 I stumbled upon your blog I think within that first year, as I was sitting at my desk at work, looking for exactly what your blog represented and still does: Relatable content and photos that share the HOW of being healthy. I’ve followed you through getting your RD, Mazen’s birth (and used your posts as valuable reference the year later when I was pregnant with my first child) and beyond. Congratulations Kath, and thank you for being such an inspiration. Hugs! It touches my heart that so many of you have been there for all my life’s milestones! Kath i love you and your blog and feel like REAL FRIENDS! Keep being you and lately i have really loved it because it reminds me from the “old KERF” back when you blogged live all the time and it was normal life and I just love that. Because most of us out here in the good ol USA have normal lives with kids and don’t make fancy food and we love that life gets messy for others too and we are all just humans doing the best we can. Keep being you, and keeping it real. You’ve tossed the idea of a Stepford Wife and it REALLY comes through in your writing. Your voice sounds so genuine now, and it definitely has your readers coming back for more. Yes! This is SO true! I started blogging back when blogs were just becoming a thing too. I used to read soooo many blogs, but then I found that so many of my favourite blogs started to get boring, and I no longer felt like I knew the writer behind the blog, and I didn’t know what was going on in their lives anymore. They lost the personality and familiarity that I came for. I too have kept my blog real, personal, and non-magazine like. It may not looks as polished as other food blogs out there, but I don’t care. I don’t even edit photos, use special lights to take pictures, etc. It’s as raw and real as it comes, but I think that is what my readers like. I’ve been reading since the beginning, and have always enjoyed the peek into your life. Glad to still see you going strong after 10 years!